Last week, I talked about the memorial Jesus gave us, so we would remember how we were saved. The memorial of our salvation. We remember this every time we partake of communion or the Lord’s supper. It was instituted by Jesus so that we remember how he saved us. Do people desecrate this memorial? Absolutely! There are Christians who have no regard for this memorial and end up desecrating it with their actions. Therefore, whoever eats the bread or drink the cup of the Lord in an unworthy manner will be guilty of the body and blood of the Lord. Partaking of the Lord’s supper in an unworthy manner makes you guilty of Jesus’ death. Unworthy manner? (Irreverently) Partaking of communion in an irreverent or disrespectful way. What was going on in this church? The background and the context of this text help us understand why their celebration unworthy. Verses 17-22 Paul scolded the church for what was taking place in their meetings. All this was happening in the church and they would come to partake of the Lord’s supper as if everything was alright. They were truly disrespecting Jesus, desecrating his memorial. Let the person examine himself before partaking of the emblems. You disrespect Jesus when you partake of communion without discerning or recognizing the body of Jesus. – When you come to the table and you are being divisive in the church, you’re eating judgment. When you partake and don’t realize your action is doing more harm than good in the church. This is an unworthy manner which leads to judgment. That is why many of you are weak and sick and some have died. Self-examination: examine yourself so you don’t come under God’s judgment. His judgment is discipline, so we don’t be condemned with the world. Jesus gave us a memorial by which we remember our salvation; a memorial that depicts unity of the body as the church comes together as one body to remember the Savior. We are warned not to desecrate Christ’s memorial by partaking in an unworthy manner. Treating the Lord’s table with disrespect will bring judgment on you. Paul advised us to examine ourselves to make sure we are not being divisive in the body; but that we are concerned for each other; that your actions are bringing glory to God, otherwise the Lord’s table becomes an opportunity for God to discipline us. The very thing that is meant to bring us closer to Jesus can become the very thing by which he disciplines us. 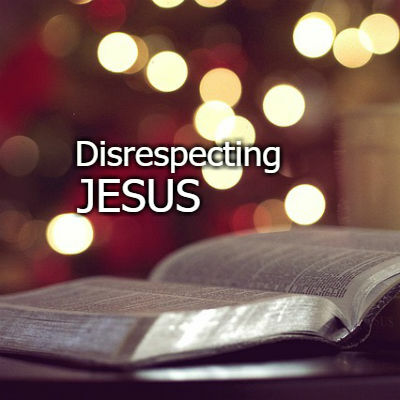 Disrespecting Jesus has severe consequences.